Uncork powder in the Thompson Okanagan’s most family friendly ski resorts: Big White Ski Resort, Silver Star Ski Resort and Sun Peaks Ski Resort. Cruise through knee deep Monashee Mountain powder high above the valley bottom, float through sub-alpine glades, stick your turn down an epic chute or enjoy the amenities of a world-class ski resort with your family or friends. Best of all, Noble Adventures is with you every step of the way to ensure your holiday is as deep with memories as it is in champagne powder! Noble Adventures is British Columbia’s premier ski and snowboard adventure specialist. Our goal is to ensure great customer service from the first point of contact until your return trip home. As a valued guest, you benefit from our expertise in British Columbia’s mountain ranges with decades of ski experience in varied terrain over many of our famous ski resorts. Noble Adventures will organize once-in-a-lifetime experiences for your ski vacation ranging from back-country day trips, to snow-shoeing, to ski-school for the children. With your personal chaperone available 24/7, we will pick up a bottle of your favourite California Cabernet Sauvignon for dinner or chill German beer in the snow for an end of the day hot tub, requests of this sort are not out of the question. Grocery shopping? We can do that too! Big White Ski Resort is centrally located Kelowna, B.C. and an easy flight from Vancouver, Calgary, Toronto, Whitehorse, LA and Seattle. At Big White Ski Resort you will experience epic snow, extensive trails darting through B.C.’s Monashee Mountain range and a village boasting 100% ski-in/ski-out accommodation. With ample amounts of on hill accommodation, it is without a doubt that there will be an accommodation suitable for you and your group. Did we also mention that Big White is Canada’s number one family ski resort? With an award-winning kids centre and ski school, parents can feel confident their ski bunnies have plenty of entertainment and are being coached by world-class instructors. Silver Star Ski Resort is located in the north Okanagan and gets pounded with frequent dumps of Champagne Powder that British Columbia is known for all over the world. With a charming village hosting tasty restaurants, diverse ski terrain, activities for all ages and 115 ski runs, there will always be something fun and exciting to do! 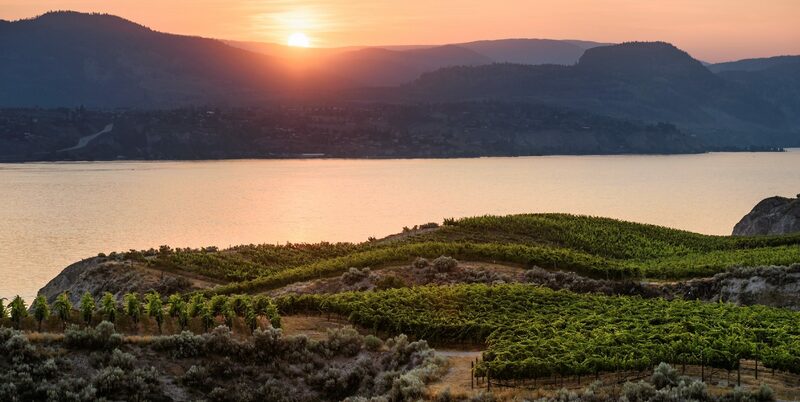 Spend your evening in the hot tub sipping wine from a world-class Okanagan winery, or unwind at a village side pub or eatery and share magical stories with family, friends or fellow skiers from all over the world. Make it what you want, Silver Star and Noble Adventures will get you there! Sun Peaks Ski Resort offers a charming alpine village set amongst three towering B.C. mountains in the Shuswap Highlands. As Canada’s third largest ski resort offering 11 chairlifts and 125 runs along with cross-country skiing and sleigh-rides for the entire family, Noble Adventures will assure enjoyment and lasting memories. Sun Peak Ski Resort’s ideal location and elevation equates to greater than five metres of snow per year. Combine this with your favourite set of skis, family or friends and five star accommodation, and you have the perfect holiday. Skiing in British Columbia has never been easier, safer and more comfortable than travelling with Noble Adventures! As our guest, you will be provided with a first class experience from start to finish as you spend two nights and two days skiing at these featured resorts. Our ski adventures include all transportation services, including pick-up and drop-off from the airport as well as exclusive transportation between ski resorts. Best of all, Noble Adventures will provide and organize all accommodation and lift tickets for your group before you arrive. By taking a professional approach to ski travel in British Columbia, Noble Adventures will save you time and money while increasing the value and experience of your ski adventure. Your Noble Adventures guides are well “groomed” veterans of the ski resorts you will visit, so gathering local knowledge pertaining to your trip and the mountains you visit is invaluable – or better yet, we will provide you with Ski Guide!